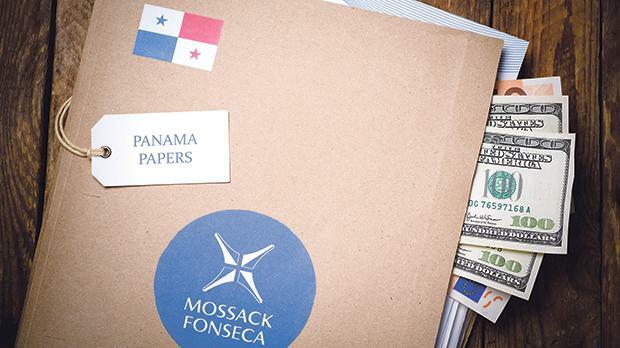 The most interesting example is that of the Panama Papers scandal that exploded in early 2016. The known facts need repeating. A group of politicians, acting in the same time frame, and using a common agent, upon being democratically elected to run a country, gave instructions to their agent to set up a secret way of hiding what they planned to acquire in the form of commissions. Two of them are identified as a minister, and the Prime Minister’s chief of staff, but the name of the other or others remained unknown and subject to conjecture. Then came the news that their secret offshore trusts were undeclared. How was this handled? It was handled with deceit and insult. The first declaration from the man who appointed this minister and chief of his cabinet was that it is perfectly legal and normal for politicians to have opened secret New Zealand trusts and companies in secret Panama. Other politicians of the same ilk, and the paid-up army of internet trolls, repeated the mantra in the days following. But then came the news of the now famous “tell you who Egrant is only on Skype” message. The truth was being stubborn and ordinary people were starting to sniff out why and how the corrupt always go offshore and far away, in notorious places like Panama. It became time to swamp the simple truth with surplus detail and bogus side issues. The new narrative was that this was all a mistake of their financial advisers who do not know the laws that well, and who acted largely on their own. The minister has an international family and has agreed to a world audit on his non-audited set-up. The chief of staff is a businessman… etc. Meanwhile, and while these same expert advisers went on to receive more direct order contracts for advice on public toilets and other “industry verticals”, the Egrant prime suspect ordered an à la carte magisterial inquiry and called a general election and he ultimately won both hands down. Panama is old news. The old guard remains firmly seated. Impunity is absolute. But damn the truth! A year later, it emerges by way of a documented e-mail dated December 2015 of this common agent that the two known subjects were instructing banks that they would be each receiving the amount of $5,000 daily from another secret company in Dubai called 17 Black, which international journalists linked to a billion-euro project that was incidentally, let us say incidentally, negotiated by the same minister, in conjunction with a hand-picked selection board that was headed by none other than those same common financial advisers. The minister, already subject to a damning FIAU report, denies any knowledge of 17 Black calling it old news. The chief of staff simply denies all wrongdoing. Faced with this damning evidence the Prime Minister just refuses to act. He declares that the rule of law rules out, no, it forbids any exercise of political responsibility or accountability. On his part, he won’t even discuss it, he says, as it might prejudice the ongoing police inquiries. Let us face it. Time to admit that we are being sold rubbish. The simple truth is that a large group of people in power and their local and foreign middlemen from Baku to Dubai to Singapore to China each wanted to own their own offshore company to facilitate dirty deals. They even went so far as to acquire a licence to operate a boutique bank to do their backhander washing. The majority of these “getaway vehicles” were incorporated by the same financial advisers, who significantly at the time proudly carried the name of Mossack Fonseca Malta. Luck would have it that this neat, real time, separate accounting plan suffered a huge setback for some members of this group at the hands of the ICIJ and Daphne Caruana Galizia. She is gone but all the while the sun still shines on Castille and the British Virgin Islands. And my final point. The whole narrative of Castille, led by the Prime Minister’s bedside lawyer Owen Bonnici, has been to reduce the issue of Egrant to a question of company ownership, when it is not. Egrant, like all the other BVI and Panama vehicles, is no more than a piece of paper similar to a cheque which is written out to “cash” and that does not go stale. The intention is that anyone I hand it to can encash it, no traces, no questions asked, anytime from now or even 10 years down the road. What’s more, I can swap that Egrant cheque for a new cheque or hand it to an old friend who I can trust. After all, as a retired cop once told me in confidence, bank robbers have no need for more than one getaway car.